Lemons are a wonderful ingredient to use in baking. There are so many delicious recipes that you can use those gorgeous yellow fruits. And if you were given a bag full of homegrown lemons it’s another good reason to jump into the kitchen and bake with this juicy fruit! 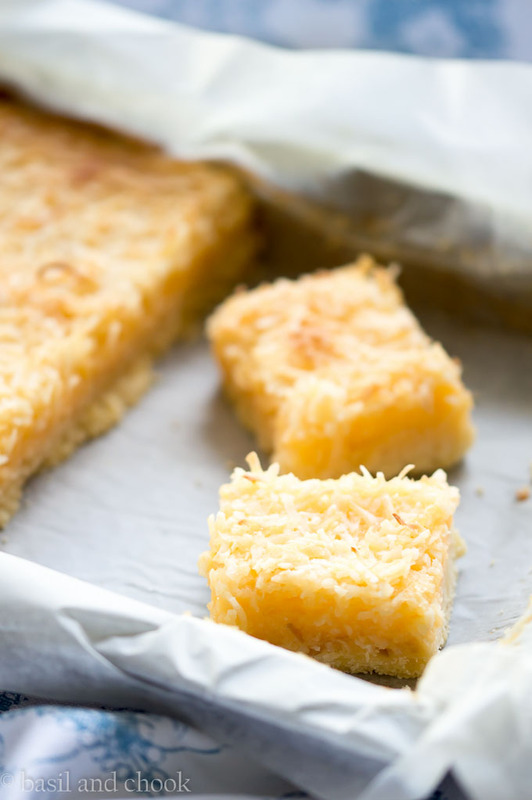 These Lemon Coconut Bars are a perfect partner of coconut and lemon on a soft biscuit base. Line a 20 x 20 cm square pan with baking paper. Using a food processor, combine flour and icing sugar then process the butter until crumbly. Press into the bottom of the baking pan. Bake at 180°C/160°C fan forced for 15 minutes. After 15 minutes, take out of the oven. Meanwhile, in a mixing bowl, beat the eggs, sugar, lemon juice and baking powder until well mixed. 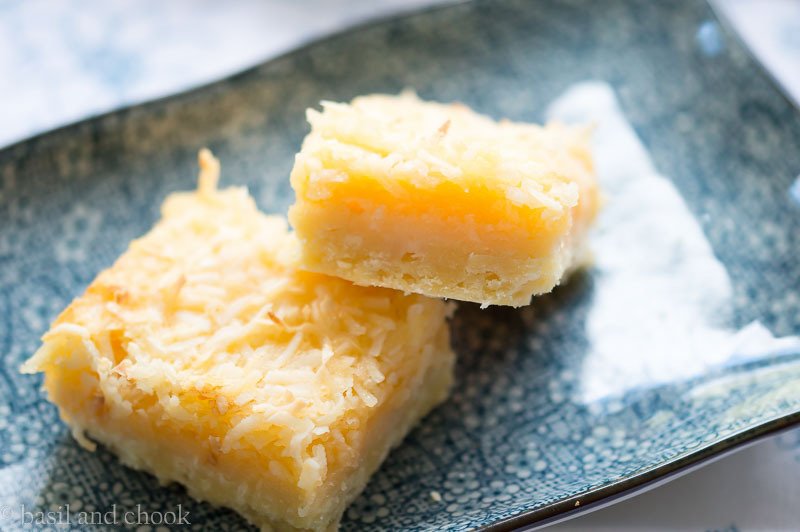 Pour over base and sprinkle the coconut evenly over the top. Bake at 180°C/160°C fan forced for 20-25 minutes or until golden brown. Cool on a wire rack. Once cooled you can cut into bars. 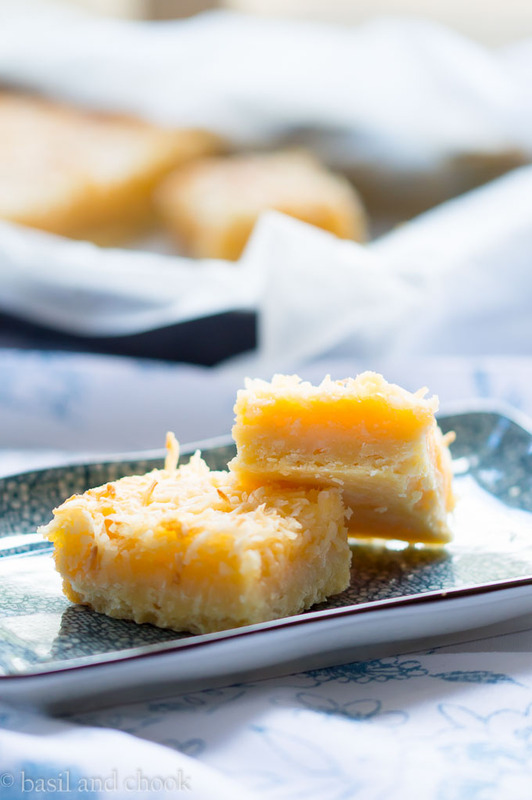 A delectable little square of Lemon and Coconut to enjoy for afternoon tea with a cuppa or a coffee. What do you like baking with lemons? These look divine. Im a big fan of lemons and have a tree full of them in the backyard. Ill be adding this to my repertoire. Cheers. These look lovely and lemony. I don’t cook with lemon a lot but will have to give these a try. They look delicious. Oh I adore lemon desserts! These bars look wonderful. 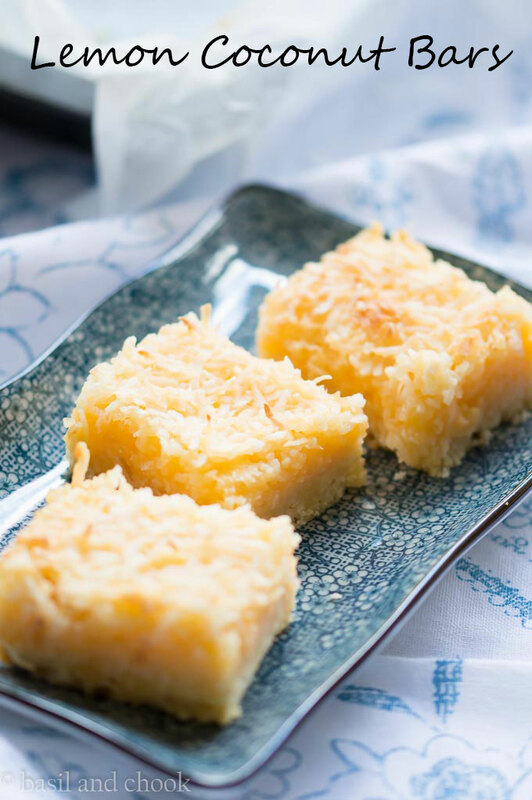 Such a lovely idea to pair them with coconut. Yum!